Chelsea and Atletico Madrid have begun talks over a possible deal deal for Alvaro Morata to join the Spainish club. 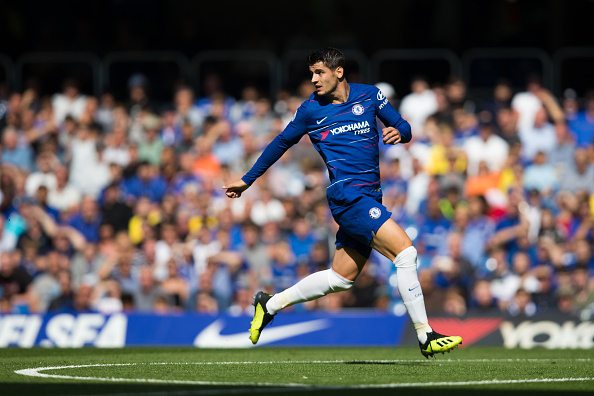 Atletico have shown their interest in Morata after much speculation over the future of the Chelsea striker, who has also been linked with the likes of AC Milan, Barcelona and Sevilla. Morata has struggled since a big-money move to Stamford Bridge from Real Madrid in the summer of 2017. He could now return to Madrid, paving the way for Maurizio Sarri to bring in a striker. Chelsea head coach Sarri wants a forward during this month’s transfer window and in recent weeks has deployed Eden Hazard as a ‘false number nine’ rather than select Morata or Olivier Giroud. Sarri is keen for Chelsea to sign Gonzalo Higuain, who played under him at Napoli and is currently on a season-long loan at AC Milan from Juventus.